17 – 18 September 2016, 11:00 a.m.â€“6:00 p.m.
Join GOST co-founder Stuart Smith for a two-day workshop intended for photographers who are prepared to transition their images into book form. 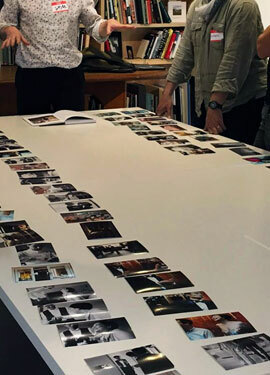 The workshop will focus on editing, sequencing, and pairing photographs as well as how to create a successful, well-designed, and thoroughly considered photobook. Students will gain insight into the practical and conceptual issues surrounding the early stages of book design as well as the pitfalls one can encounter during the process. Through individual and group discussions, students will discover new methods of creating their photobooks with the skills and tools they already have accessible.